As part of my NCT antenatal teacher training, once a month I spend the day at a group tutorial. As well as the lovely people, knowledge gained, interesting presentations, stimulating conversation and feeling like a grown up for the day, by far the best thing about tutorial is the lunch!! (sorry group!). We differ from other tutor groups in that we have a shared lunch, with everyone bringing their own contribution. Legend has it that our tutor group is the best for lunch. I have heard stories of other groups bringing sandwiches, pizza, pork pies and scotch eggs for lunch - well not us! Our lunch is almost 100% vegetarian, with houmous and cous cous a plenty (can you tell we live near London??). Everyone has their own signature dish that they tend to bring. Typical contributions include green salad, pasta salads, cous cous, breads, cheeses, quiches, frittatas, potato salad, houmous, freshly baked cakes, and lots more. My mouth is salivating just thinking about it! Past contributions have included Onion Tart, Falafels and soda bread. As the group dynamics change and people drift away, graduate or join every few months, the food changes too. Favourite tutorial foods disappear and new ones arrive, changing the dynamics of our lunch table and group. The concept of a shared lunch is one that many find it hard to get their heads around at first feeling that it's a lot of work to make sure everyone is covering all food bases. Yet we don't tend to liaise massively about what we are bringing and somehow each month it just works. I think that the best thing about the lunch is that almost all of the food is vegetarian. As lots of different cultures and religions make up our tutor group, it's especially fantastic when tutorials coincide with festivals and we are able to learn about and partake in delicious foods from other cultures. For tutorial, one of the dishes I tend to make is a frittata. 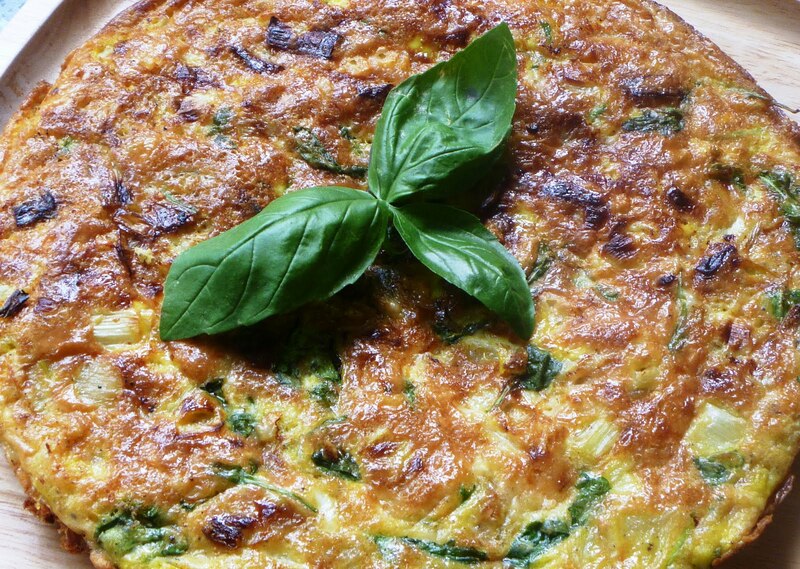 Typically, it contains whatever appropriate ingredients I have in the fridge but the frittata featured is leek, onion and rocket. Eating a meal together bonds us more as a tutor group, and allows the conversation to flow more freely. We share thoughts, musings, troubles and successes together over lunch and learn from these conversations what is essential for the next part of our individual journeys through the course and through life in general. When I contemplate leaving my tutor group and graduating into the big wide world of antenatal teaching, I think that it is the lunch and what it symbolises that I shall miss most. So the next time you are holding a works lunch, training day, Mum's/Friends/Family meet-up, or any other group get together, please consider a shared lunch - you may be surprised what finds its way onto the table! If any of my lovely fellow tutor group members are reading this and would like to share their delicious tutorial recipes. 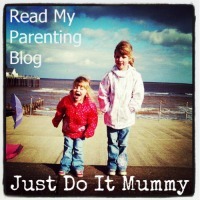 I am happy to feature you and them on my blog. Heat 1 tbsp oil in a pan. fry the onion and garlic with some sea salt for 5 minutes until softened. Add the leeks, with another tbsp of oil and cook over a low heat until slightly softened. Cover and cook the leeks, onion and garlic for a further five minutes. Add the rocket and cook for another 5 minutes. Once cooled, add eggs, cheese, salt and pepper. Heat 2 tbsp oil in a frying pan. Add the mixture and smooth the surface. 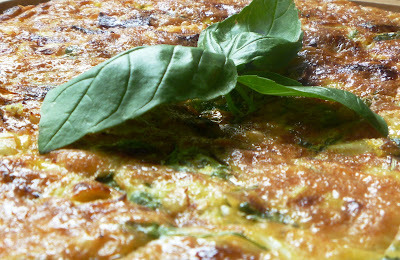 Cook over a low heat for 15 minutes until the frittata is almost set. Transfer to a pre-heated grill for 3-5 minutes until the top is set and golden. 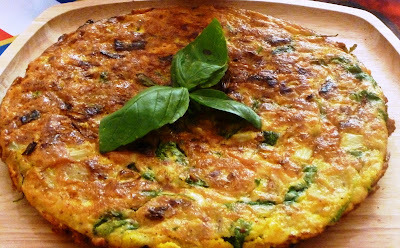 Allow the frittata to stand for 5 minutes, before removing. Serve immediately, or allow to cool and transfer to the fridge for serving later.